For detailed descriptions on each individual service scroll below the menu. All Brow, Treatment Mask & Spray Tan Add-Ons available at Lash Lift appointments. A description of each service and its distinguishing features are below. For general information about our Salons and our Lash Extension philosophy please visit About Us & Our Lashes. A Full Set of Classic consist of 140+ lash extensions individually applied to every suitable natural lash at a 1:1 ratio. The Classic technique uses one set of specialised tweezers to isolate each of your natural lashes one by one, and another set to pick up an extension, cover it in medical grade adhesive and attach it to the natural lash. Classic eyelash extensions are available in 0.15 mm thickness in lengths ranging from from 6mm-14mm and in different “curls”. After your appointment, your extensions will start to fall out with your natural lashes over their natural lash cycle. Refills are available at 2 or 3 weeks when you could expect to have lost around half or if you decide not to refill you will continue to lose the extensions for another couple of weeks until they are all gone. A full set of classic extensions generally takes our experienced technicians around 1 hour to achieve. Volume Eyelash extensions involve attaching several micro extensions in a fan shape to one natural lash at a 3+:1 ratio. Again, one pair of tweezers are used to achieve perfect isolation of the natural lashes one by one whilst another picks up 3-5 extensions in a hand-made fan configuration, dips them in glue and attaches to the base of the natural lash. 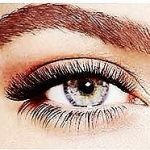 The thickness of these micro extensions range from 0.05 – 0.10 mm so they are much finer and fluffier than the classic lash extensions, however the technique multiplies the amount of lashes present 3-5 X over. We have extensions ranging from 6mm- 14mm and various curls in stock. Russian Volume lashes allow a client with fewer natural lashes to increase the number of lashes present which can not be achieved with the Classic technique. Generally, a shorter length of extension is used with Volume Sets than classic as there are many more extensions in place and the additional length is not required. The 3D Russian Volume set generally takes 1.5+ hours to achieve. This style of lash extensions combines both the Classic and Colume techniques in one set. We will tailor the right combination for your natural lashes which might be using classic style extensions for the inner half of the lash line and focusing volume on the outer eye, or perhaps spacing the volume fans through out the lash line and filling in between with classic. 5-6D Russian Volume Eyelash Extensions involve the placement of 500-600+ individual extensions per eye to create a dense, lush, dark and fluffy effect which is certainly not for the faint hearted! Because this specialist technique involves the addition of SO many lashes only SUPER light and fine extensions can be used – at a diameter of 0.05mm each. 5-6 of these extensions will be expertly crafted into a fan BY HAND and then attached to one of your individual natural lashes using medical grade adhesive specially formulated for eyelash extensions. Not all technicians can perform this service which will take approximately 2.5 hours for a full set. Extensive training, vast experience and high advanced skills are required and 5-6D Extreme Volume will only be performed by our top Lash Artists. The removal of Eyelash Extensions can take up to half an hour and involves using an acetone based gel remover to soak off the adhesive without damage. It is an intricate process which requires a high level of skill and concentration. If the lashes requiring removal are a couple of weeks old and have been applied well 15 minutes should be sufficient time. Removal of extensions applied by our own team can always be done in this period and the vast majority of removals from elsewhere are routine & can also be completed within 15 minutes. In some rare cases we are asked to remove badly applied or problem sets applied elsewhere which can take additional time due to damage or incorrect products having been applied. In these cases we must charge for extra time once we exceed 15 minutes. If you are unsure please contact us before booking. If you follow the removal with a replacement set we discount the removal price to $30. Many Lash Salons will not refill extensions they have not applied themselves. This is because when adding to the existing work of another Lash Artist, there is a risk that an issue may present itself post service due to pre-existing issues. Even if the issue was due to poor application or products which were present prior to the refill – there is a chance that responsibility will be automatically inherited as the most recent service provider. Whilst we prefer to start a fresh with our own high quality products and techniques, we do understand that in some cases clients may have existing extensions of a high quality in place but may not be able to return to their original Lash Artist. For example, they may be in Perth travelling or on business, or may live locally but their usual technician is away. We do not feel the client should be unfairly disadvantaged by being forced to completely remove and restart in these circumstances and so if we inspect and determine the application in place is to our own standard, at our discretion we may refill existing work. There is a one off charge which applies if the most recent refill was not done by us to allow for matching, any potential repair and to mitigate any potential risk. If our Lash Artist determines on inspection they are unable to refill the existing extensions, a removal will be required. Since 2009, the tanning specialist division of Tan Lash & Beauty: Perth Tans has specialised in professional, natural and fast spray tans. We provide a solution to all of Perth’s tanning needs and skin types stocking Aviva, Naked Tan and Tuscan Tan Spray Tans in both an overnight and an express alternative. For more information see our Perth Tans Spray Tanning Specialist page. You can add on a ten minute spray tan appointment to any Lashes, Brow or Make-up booking. Simply select the Add-On and you can select which brand and shade to go with at the appointment with our guidance. Maintain your existing Brow shape, Wax or Tweeze Off stray hairs and regrowth to polish and complete your look. Traditional Tints dye the eyebrow hair to darken or thicken Brows for up to a week. Design. Shape. Henna. Wax. Polish | Create the Perfect Arch for your Face Shape using Natural Henna to Stain the actual Skin + Fill In Gaps. Lasts 2 Weeks or more. No more mascara! ( Calling all Special Occasion Lashers! ) You can finally toss out that mascara altogether and not worry about Racoon Eyes if there is a high chance of waterworks. Brides Rejoice! Keep Up With Kim K – Here lies the secret to the dramatic doe-eye look we all desire. You’ll be blown away at how much adding Lower Extensions to Top Lashes can change the look of your eyes. They appear so much bigger and your face actually appears slimmer. While not essential to the service, some clients with fairer natural lashes like to tint their natural lashes black prior to adding the black coloured extensions. Using traditional tints on both top and bottom lashes can not only create a balance between the bottom natural eyelashes and new top extensions but can bring shorter baby lashes which are too short to add an extension into view, creating the illusion of more volume. NB: A Lash Tint can only be done prior to Full Set appointments. Once extensions are in place the tint formula can not be applied as it can affect the glue bond and cause extensions to shed prematurely. Added by popular demand, our Glamour Boost allows a client to add on extra time to a full set or refill appointment while staying within the same category. Sometimes clients want to go the extra mile and pump up their volume without jumping up from from Classic to Hybrid or Hybrid to Volume. 10 mins can be up to a 30% increase in appointment time, depending on the base appointment type. Treat yourself to a Deluxe Facial or Lip Mask applied at the same time as your Lash treatment. Double the indulgence within the same appointment time! Our Charcoal Facial Mask is formulated with adenosine to provide intense hydration for healthy and supple skin. Sodium hyaluronate retains moisture to reduce the appearance of wrinkles and promotes collagen formation. Made of Oak Tree charcoal, the mask seamlessly adheres to the face, deeply absorbs toxins and impurities, and delivers essential ingredients for brightening and hydrating benefits. Choose a 24K Collagen Lip Mask containing collagen, retinol and hyaluronic acid to target fine lines and wrinkles. An instant, super charged hydration boost to plump, smooth and perfect. In contrast to Eyelash Extensions which extend the length and increase the number of lashes per eye, a Lash Lift is a newer technology which manipulates only the existing natural lash. Special formulas are used to straighten, lift and then reshape without increasing the number of lashes or extending artificially. The treatment involves several stages, the first of which uses a light adhesive to lift your natural lashes from the root and carefully bond them to a silicone mould. A Lifting solution is then used to release the lashes from their natural curl and straighten them, creating the illusion of increased length. This is followed by a setting agent to lift and adhere them to the mould defining their new expertly designed shape. The Lash Lift is finalised by a complimentary Lash Tint to both top and bottom lashes to bring your newly shaped lashes into full view. Click here for more information on the Perth Lash Lift process. Glam! 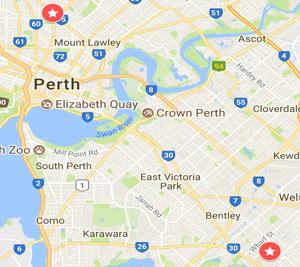 is the popular new additional to our specialised services menu – bringing Hair Styling and Professional Makeup to the Tan Lash & Beauty salon in North Perth and Cannington. Please visit our dedicated Hair and Make-Up Artists page here for further information. Using MAC, Kryolan, Sephora & RCMA professional pallettes our experienced Perth Make Up Artists will Prime, Apply & Set and combine your look with hair styling options including GHD Curls, On Trend Upstyles, Simple Braiding & Volume Straightening.